Experience the power and the glory of ancient Rome in this epic game of empire building and conquest. Look across the battlefield to behold vast armies of thousands of men, and then seamlessly zoom in on intense combat as individual soldiers fight to the death. 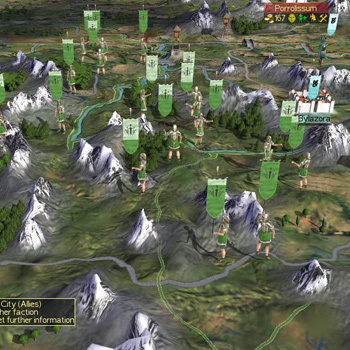 With over a hundred different unit types, players control the Legions of Caesar, Hannibals mighty War Elephants, the successors of Alexander the Great or ruthless Barbarian Hordes. In Rome: Total War players can choose to rule, as well as conquer, by forging empires using the arts of trade, diplomacy and subterfuge.